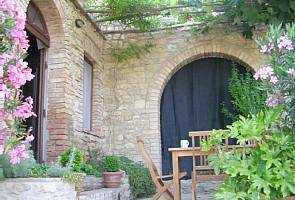 Beautiful Tuscan farm, completely restored and divided into big apartments and villas, for 2 to 10 persons. On a hill looking towards the sea, in a quiet place ideal for families and children. Book your Italy directly with the owner or manager and save hundreds or even thousands over hotels, and enjoy the comforts of a home away from home. FindVacationRentals.com offers thousands of in Italy in the most sought after travel destinations.